Join us with Lynn Hewitt in the Ambassador Room at the Burwood RSL, Shaftsbury Road, Burwood at 2pm on Saturday the 12th of March.Lynn will be showing pictures and samples to illustrate some of the history of design and textile traditions in Japan. Lynn has made many visits to Japan enhancing her collection of Japanese textiles on each trip. 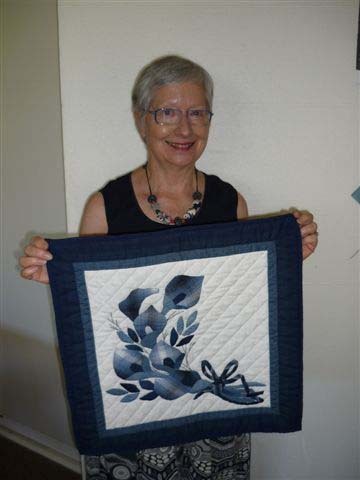 She will share her collection and knowledge of old japanese textiles and tell us about the influence contemporary Japanese cottons have had on her quilts and clothing. Bring along your own antique Japanese textiles for show and tell and, of course, those wonderful quilts you have made with Japanese quilting fabrics.